Magic is tricky business, and you cannot always trust your magic items to turn out, as you would expect. Small variations in ingredients and the intonation of magic words or perhaps exposure to magical auras and weird mysteries, and suddenly your potion of healing, growth, giant strength, flying or invisibility does work quite the way, you had hoped. Prepare yourself for unstable potions! Here is a table of 20 effects, you can add to potions in your D&D game, in order to surprise and challenge your players. The rule descriptions are kept somewhat D&D agnostic and though based on the D&D 5th rules, they can easily be converted to your favorite version of D&D be it 3rd edition, AD&D or Labyrinth Lord. The table was originally designed for the Danish RPG The Hinterlands (Hinterlandet), and is here translated into English and adapted for D&D. 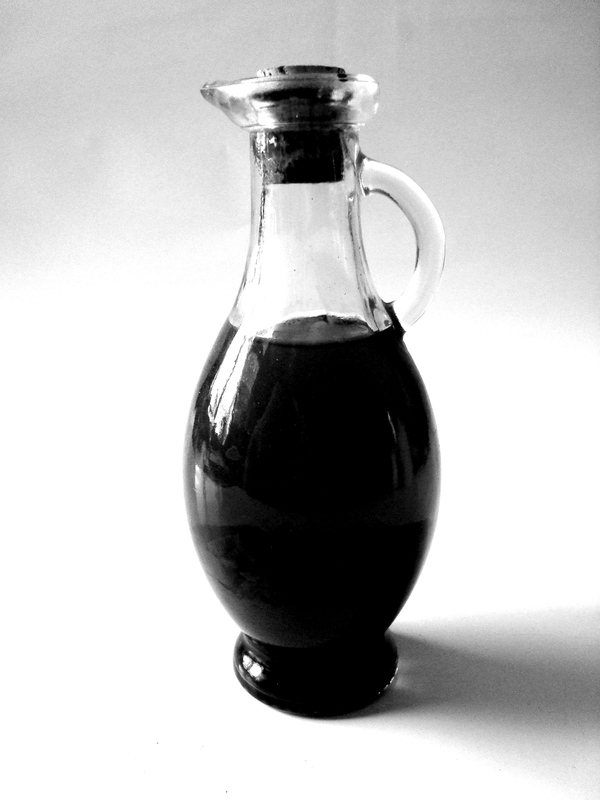 Viscous – the thick liquid flows slowly like syrup, and it takes two rounds to drink the potion. Elusive – the liquid turns into vapor once it is exposed to the air, and the imbiber must drink it fast. The character must perform a Dexterity Check DC 10. If it fails a part of the potion evaporated, and the character only gains half the effect or half the duration. Explosive – the liquid begins to boil and surge, and must be drunk immediately. The character must perform a Dexterity Check DC 5. If it fails, the potion explodes in a shower of shards between the imbibers hands for 1d6 damage, and the potion is lost. Disgusting Taste – the liquid tastes awful, and the imbiber finds it difficult to consume. The character must perform a Constitution Check DC 7 or vomit the potion out losing its effect. Congealing – the potion constantly crystallizes and must be shaked vigorously into order to return it to its liquid state. The character must shake it for one round, before it can be imbibed, and the player must simulate shaking the potion flask. Slow working – it takes 1d4 rounds before the potion’s magical effect occurs. Smelly – The imbiber becomes foul smelling while under the influence of the potion. While the potion lasts, the imbiber releases a cloud of foul stench every time the character performs a physical activity (i.e. making an attack, jumping, running etc.). The stench results in disadvantage (or a -4 penalty) on social activities. Hunger – the imbiber becomes ravenous, once the effect of the potion runs out. Until a meal is consumed (costs a ration), the imbiber suffers disadvantage (0r a -4 penalty) to strenuous activities (including attacking). Sleep inducing – the potion makes the imbiber drowsy, and once the effect runs out, the drinker risks falling asleep spontaneously for the next three hours. Once pr. hour the character must succeed a Constitution Saving Throw 10 (or Saving Throw vs Poison) or suddenly fall asleep (does not happen, during fights or other vigorous activities). Exhausting – the potion’s magic drains the imbiber. Once the effect runs out, the character begins yawning heavily and feels drowsy. For the next hour the character will doze off, if he or she is not moving about constantly or being kept awake by others. Cooling – the potion drains bodyheat from the drinker, who becomes cold to touch and briefly leaves rime on glass and other objects touched, while the potion lasts. Once the potion has ended, the drinker shivers with cold and has disadvantage (or a -4 penalty) on physical activities and activities requiring concentration, until wrapped in blankets, sat in front of a bonfire or some other warming effect. Chatty – the potion loosens the imbibers tongue, and the imbiber is constantly small talking, while under the potion’s effect. The player must constantly chat or small talk, and if the player is quiet for one minute, the potion’s effect immediately ends. Roaring – the imbiber is unable to whisper and finds it difficult not to yell instead of talking, while influenced by the potion. The player must speak loudly, when speaking, and if the player does not speak loudly, the potion’s effect immediately ends. Whispering – the potion limits the voice of the character, who can only whisper. If the player does not whisper, when speaking, the potion’s effect immediately ends. Balance – the potion’s effect only works as long as the character is focused and in balance. The player must balance a d20 on the back of their hand, and if the die falls off, the potion’s effect ends immediately. Taunt – While under the influence of the potion, the character struggles with not coming up with taunts and insults. Every time a conversation is initiated, or the character is contradicted, the character must succeed a Charisma Check DC 6 or immediately throw a taunt. Restless – The imbiber cannot rest or sit still, while under the influence of the potion. The player must be moving around, and if the player is not in motion, the potion’s effect ends. Blood infusion – the powerful magic in the potion infuses into the blood of the drinker, whose blood now functions as a scaled down version of the potion. If other creatures drink the fresh blood (for 1d4 damage) of the imbiber, they gain the effects of the potion (but the duration is at most 10 minutes). This last while the potion lasts or until the character is killed. Echo – 24 hours later, the potion reactivates itself and the imbiber once more gains the effect of the potion. Secondary effect – 1d6 rounds after the potion ends, the strange magics of the potion activates the effect of a new, beneficiary magical potion, as if the imbiber had drunk another potion. Some of the effects of the potions was also used in the module Grave of the Heartless, and several effects are based on the idea, that some of the effects should be more than a modifier, they should be things, the player role plays. I hope you have fun tweaking potions at your table.